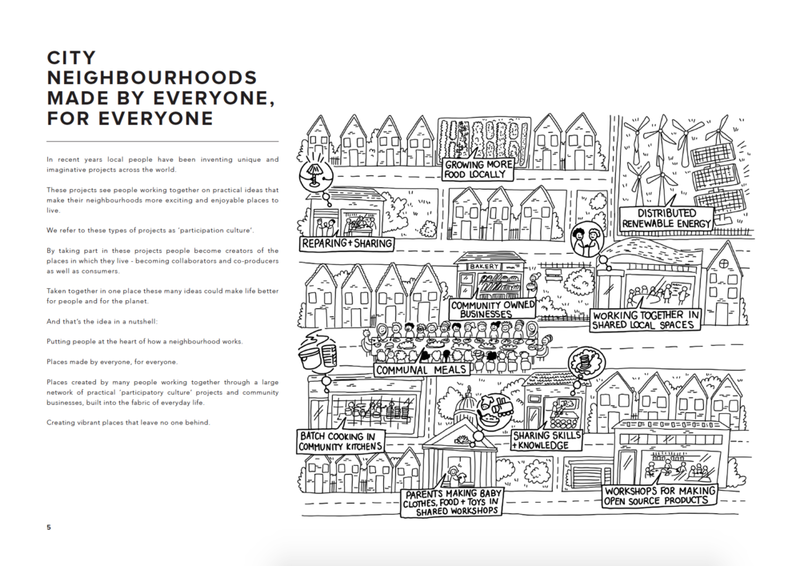 Over 5 years, Participatory City will transform a place into a large Demonstration Neighbourhood - of around 200,00 to 300,000 residents - that will become a model for wellbeing, sustainability and equality. Participation will be at it's heart - but It is going to require at least 1,000 different ideas, from the local neighbourhood and also from different parts of the world. 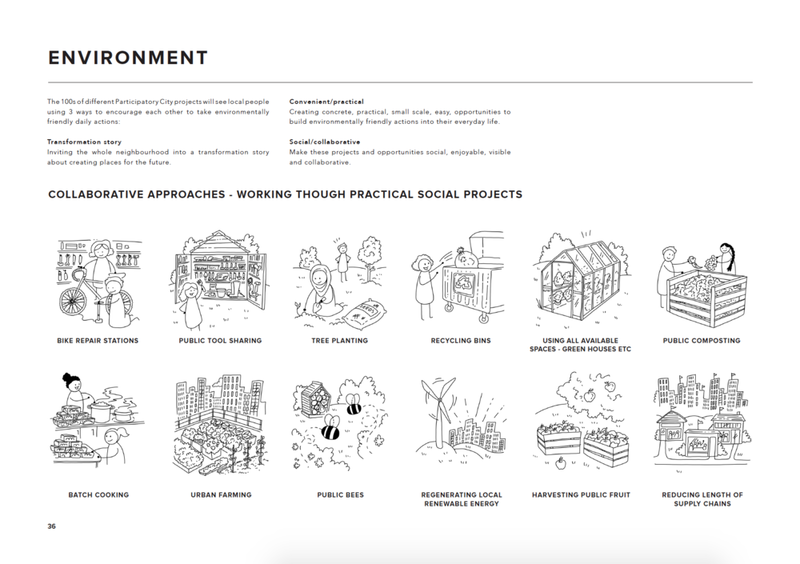 Key to the success of the Demonstration Neighbourhood will be its ability to collaborate very widely to bring many fresh ideas together in an open source environment. By connecting them to build a new system of work and activity we intend to demonstrate what is possible if we combine our resources effectively ... and raise our ambition in a single place.